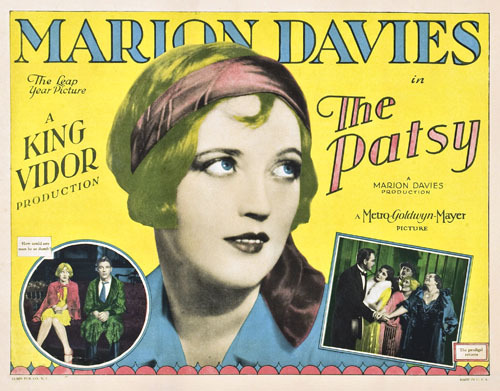 Pat Harrington (Marion Davies) is an awkward young woman who always feels like the odd one out. Her mother (Marie Dressler) clearly favors Pat’s older sister Grace (Jane Winton) and Pat’s father (Dell Henderson) doesn’t approve of the way Pat is treated, but his wife is too domineering to listen to anything he has to say. Grace always seems so elegant and sophisticated and has no problem attracting attention from men, making Pat feel like even more of an outcast in her own family. Grace has been dating Tony (Orville Caldwell) and while Tony adores her, Grace is hardly loyal. Pat is in love with Tony, but he’s too wrapped up in Grace to notice. Pat wants nothing more in the world than to be noticed by Tony and get treated with more respect. When she manages to spend some time with Tony alone after a party, she laments that men never seem to notice her and he says men like a woman with personality So she decides to take his advice and gets some books on how to develop a personality, which involves going around saying odd platitudes in hopes of sounding smart and witty, but she really makes no sense. Her family is absolutely dumbstruck by Pat’s strange behavior and think she’s gone crazy. But when her father realizes what’s going on, he encourages her to keep up the act. Of course, Pat tries to use her new “personality” to win over Tony and he likes Pat. After all, she shows more of a genuine interest in him than Grace or anyone else in the family. But when Grace sees that Pat has designs on Tony — and is actually winning him over — she makes a point to put a stop to it. So when Pat sees Grace leave with Tony, she goes to see Billy (Lawrence Gray), another man Grace has been seeing, so she can make it seem like she’s in trouble and Tony can save her from it. This time, she ends up pushing her entire family a little too far, but it all works out in the end. The Patsy is, in my opinion, one of the all-time great silent comedies that doesn’t get the amount of credit it deserves. It’s a completely and totally delightful film; the sort of movie I can put on when I’ve had a bad day and it always cheers me up. It’s by far one of the best movies Marion Davies ever made and is a fine example of why she ought to be considered one of the best comedic actresses of the silent era. The scene where Marion impersonates other big silent film stars like Lillian Gish and Pola Negri is well worth the price of admission. Marion is, indeed, the star of the movie, but she has a lot of help from a wonderful supporting cast. They couldn’t have found a more perfect actress for Pat’s mother than Marie Dressler and Dell Henderson was spot-on as the put-upon father. I simply can’t think of a bad thing to say about this movie. While New York City is in the grips of a heat wave, the residents of one building beat the heat by sitting on the building’s stoop and catching up on gossip. Emma Jones (Beulah Bondi), the building’s resident busybody, is only too happy to make sure everyone knows what Anna Murant (Estelle Taylor) has been up to. Anna, married to the abusive and controlling Frank (David Landau), has been not-too-discreetly carrying on an affair with Steve Sankey (Russell Hopton), her married milkman. Everyone knows what has been going on with Anna and Steve, but Frank is only suspicious at this point. Meanwhile, Anna’s daughter Rose (Sylvia Sydney), like her mother, longs for something more satisfying out of life. She has a job, but has to put up with constant advances from her boss, who wants to turn her into a kept woman. However, Rose doesn’t want to take the easy way out. Rose’s best friend is her neighbor, Sam (William Collier, Jr.), who is in love with her, even though she doesn’t feel the same way about him. He’s studying to become a lawyer, but would gladly throw everything aside for the chance to be with Rose. When Frank leaves town on business, of course Steve goes to see Anna. But when Frank returns unexpectedly, the neighbors are powerless to stop the confrontation they know is about to happen. When Frank finds Anna and Steve together, he shoots and kills both of them and runs away. The police get to work investigating the crime while the neighborhood is both aghast and morbidly excited by the scandal. Movies set during heat waves tend to fascinate me because they often seem to show how the heat can bring out the worst in people. In Rear Window, L.B. Jeffries’ neighbor murders his wife. Do the Right Thing is about racial tensions that are brought to a head on the hottest day of the year. Even in comedies like The Seven Year Itch, it’s still a movie about a married man tempted to cheat on his wife. Street Scene is definitely an early example of that theme. Amidst the gossip about Anna’s affair with Steve, we see the residents of this neighborhood reveal their prejudices and other negative traits. 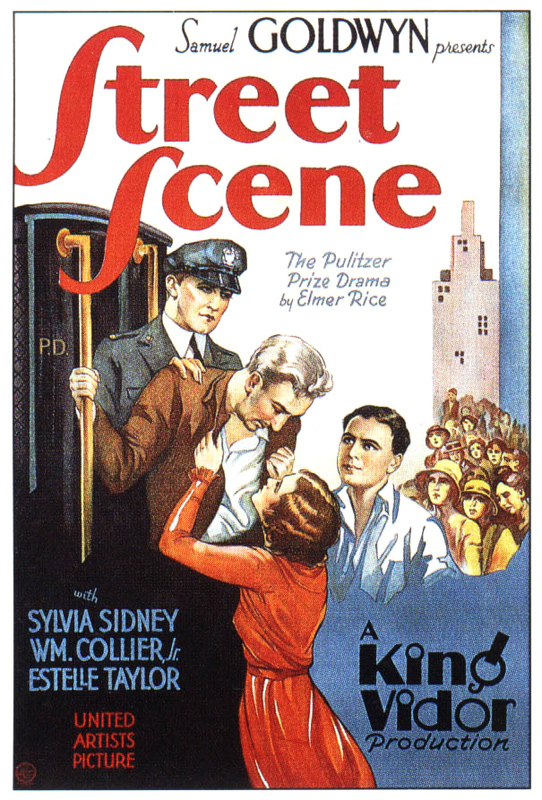 In fact, Street Scene is more of a character study than it is about the affair between Anna and Steven. This is the kind of material that director King Vidor excelled at handling. Street Scene isn’t one of my favorite heat wave movies, but I still found it very interesting and it is absolutely worth watching at least once. Happy September, everybody! TCM’s Summer Under the Stars may be drawing to a close, but that doesn’t mean September is going to be a boring month. In fact, September looks like it’s going to be one of my favorite TCM months in a long time. First of all, TCM will be kicking off their major Story of Film series. Not only will they be showing Mark Cousins’ The Story of Film — An Odyssey documentary series on Monday and Tuesday nights, but TCM will also be playing many films featured in the documentary. This reminds me a bit of the programming TCM did when they had their Moguls and Movie Stars series back in November of 2010. However, unlike Moguls and Movie Stars, The Story of Film looks beyond the American film industry and branches into world cinema so they will be showing many films that were not discussed during Moguls and Movie Stars. Fans of silent films have good reason to be excited for this because there will be many nights focusing on the silent era. If you want to expand your knowledge of film history in general, you are not going to want to miss this series. This series will continue into October. If you’re an Alfred Hitchcock fan, you’re going to love the Sundays with Hitch series this month. 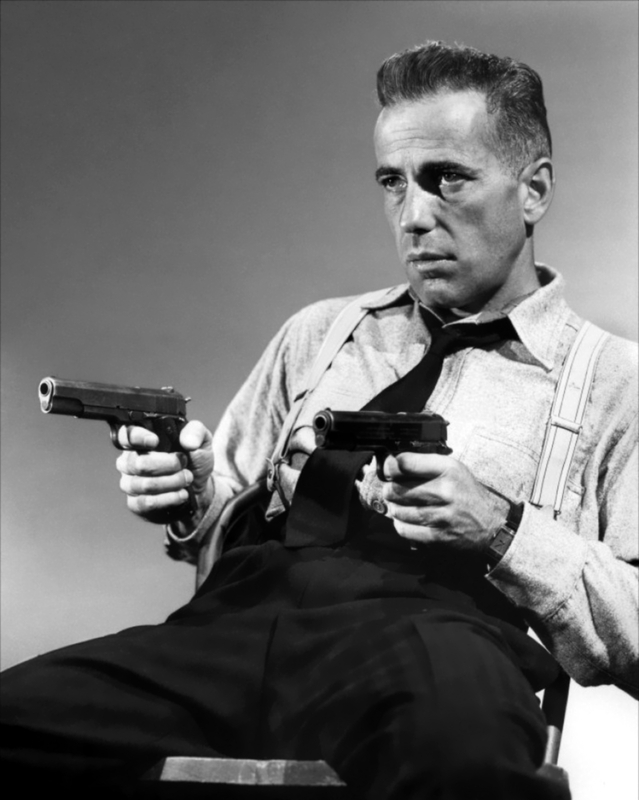 Every Sunday, almost all day long, will be dedicated to none other than the Master of Suspense. Kim Novak will be the Star of the Month. Her movies can be seen every Thursday this month. Friday Night Spotlight also makes its return with a series called “Future Shock” hosted by Michael Phillips of the Chicago Tribune, dedicated to movies about futuristic dystopias. There are a few more modern movies in this line-up, but I can forgive that considering how many nights are dedicated to silent film this month. In the town of Braddock, North Carolina, social status is everything. This is a harsh reality Ruby Corey (Jennifer Jones) knows all too well. Ruby has long been in love with Boake Tackman (Charlton Heston), but since Boake comes from a prominent family and Ruby does not, it becomes difficult for them to have a relationship. One night, Jim Gentry (Karl Malden) takes some of his wealthy and influential friends, including Boake, to a hunting party at a lodge run by Ruby’s family. It’s the first time Ruby has seen Boake in a while, and she is determined to resume their relationship, much to the dismay of her religious brother Jewel. Ruby is close to Jim Gentry and his invalid wife Letitia. When she was in high school, Letitia had let Ruby live with her and Jim for a while and took Ruby under her wing, showing her how to live the life of an upper class lady. The next day during the hunt, Ruby and Boake manage to sneak away together and Ruby gets mad at Boake for taking her for granted. Meanwhile, Boake has been seeing Tracy McAuliffe, who is more on his social level, and becomes engaged to her. Ruby is angry when she hears the news and tells him she has no interest in continuing to see him on the side. Not long after hearing about Boake’s engagement, Letitia becomes ill and Ruby comes to tend to her while she is on her deathbed. After Letitia passes away, Jim proposes to Ruby and they soon get married. But even after marrying Jim, one of the wealthiest men in Braddock, many of the townspeople still look down upon her for being low class. Things aren’t helped when Ruby and Boake dance together at the country club, driving Jim into a jealous rage and he gets into a fight with Boake. Ruby swears it’s Jim she really loves and he believes her. Their marriage wasn’t meant to last, though, and Jim is killed when he accidentally falls overboard while sailboating. Ruby really does miss Jim, but the rest of town doesn’t believe it and accuses her of killing Jim for his money. But she quickly realizes she now has the power to turn the tables on the whole town. Since Jim had loaned money to so many people to start business, people who looked down on her for so long, she gets her revenge by demanding that money back, putting almost the whole town out of business. Boake was among the many people who got money from Jim, but Ruby is willing to spare him if he starts seeing her again. He refuses, so Ruby destroys the business he’s worked so hard to build. Ruby and Boake meet again at a hunting party at her family’s hunting lodge. During the hunt, Ruby and Boake begin to rekindle their relationship, but Boake is gunned down by Jewel, leaving Ruby to live as a total outcast in town. Ruby Gentry is a super melodramatic camp-fest, but it’s a rather fun melodramatic camp-fest. The plot is essentially that of a fast-moving soap opera and it isn’t particularly well written. Ruby Gentry is narrated by a doctor we meet in the beginning of the movie, but it’s a pretty baffling narrator choice since the doctor is barely in the movie. Jennifer Jones and Charlton Heston chew the scenery like it’s a piece of prime rib. 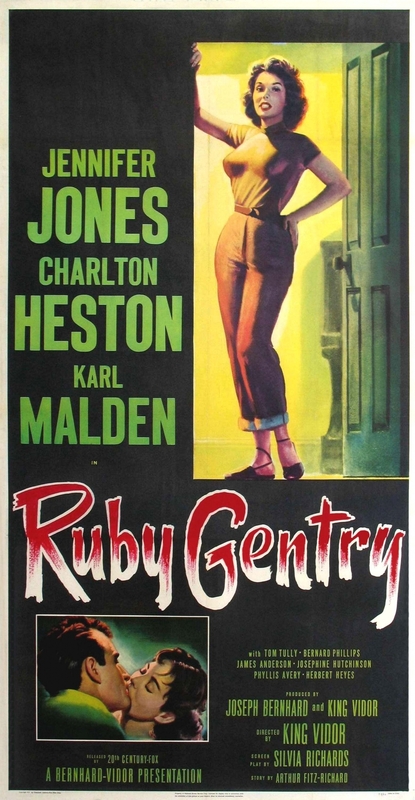 But if you’re a Charlton Heston fan, Ruby Gentry is an interesting movie because it’s an early movie in his career and he doesn’t play the type of character he would go on to become associated with playing. It certainly isn’t Jennifer Jones’ best performance, but I couldn’t help but have a little fun watching her in this. Posted in 1950s, Blogging Under the Stars, Dramas and tagged Charlston Heston, Jennifer Jones, Karl Malden, King Vidor on August 6, 2013 by Angela. While sailing on a yacht in the South Seas, Johnny Baker (Joel McCrea) and his friends meet a bunch of natives while sailing close to their island. But when Johnny sees a shark swimming nearby, he tries to catch it, and is pulled overboard. Luckily for him, a beautiful native girl named Luana (Dolores del Rio) dives in to save him. There is an immediate attraction between them, but when Johnny and his friends spend an evening with the natives, he’s told that she’s supposed to marry a prince on a nearby island. That doesn’t stop Johnny from pursing her, though, and she feels the same way toward him. They sneak away to see each other during the night, but when Luana’s father finds out what’s going on, he forces her to marry that prince immediately. When Johnny finds out what’s happening, he crashes the wedding and whisks her away to a nearby island. They build some shelter and spend weeks basking in their own, private tropical paradise. Even though they are blissfully happy on the island, Johnny would like to bring Luana home with him. Before he can do that, though, the volcano Pele begins to erupt and Luana knows that she will soon have to be sacrificed to appease the volcano god. Sure enough, it isn’t long before Luana is dragged back to her island for the sacrifice. Johnny follows, but he’s captured and is set to be sacrificed alongside Luana. Johnny’s friends arrive to rescue them just in the nick of time. He still wants Luana to come home with him, but Luana believes it would be best if she allowed herself to be sacrificed to the volcano god. Bird of Paradise is likeable, but it just didn’t grab my attention enough for me to get terribly invested in it. However, it’s a very beautifully shot movie. Even though it’s filmed in black and white so we don’t get to see any lush, tropical colors, King Vidor really captured the essence of this tropical paradise. There’s one scene where Luana and Johnny go swimming together and Luana isn’t wearing anything. At first, I thought it was very reminiscent of the infamous swimming scene from Tarzan and His Mate, but then I realized that Bird of Paradise actually pre-dates Tarzan and His Mate by two years. Joel McCrea and Dolores del Rio are both certainly fun to watch, but the movie also has a some other noteworthy names working behind the scenes. Bird of Paradise has the distinction of being the first sound film to have a full symphonic musical score, which was created by none other than Max Steiner. Busby Berkeley, who was still an up-and-coming choreographer at the time, choreographed the film’s jungle dance scenes. Less than a year after working on Bird of Paradise, Berkeley would move on to bigger and better things when he went to Warner Brothers and made 42nd Street. Posted in 1930s, Adventure, NaBloPoMo 2012, Pre-Codes, Romance and tagged Busby Berkeley, Dolores del Rio, Joel McCrea, King Vidor, Max Steiner on November 28, 2012 by Angela. 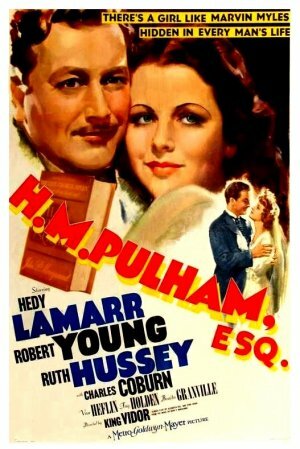 Harry Pulham (Robert Young) has always lived his life by the book. He came from a wealthy background, went to all the right schools, has a respectable job, has two children, and is married to Kay Motford (Ruth Hussey), an ideal woman for a man of his stature. Now middle-aged, he meets up with some of his old college friends for lunch one day and is put in charge of getting all their classmates’ biographies together for their 25-year reunion. Later, he gets a phone call from his ex-girlfriend Marvin Myles (Hedy Lamarr) inviting him out for a drink. He accepts, but when he gets to the restaurant and sees her again, he can’t bear to talk to her. He goes home and starts to write his biography, but when he starts looking back on his life, he realizes that he has never lived life on his own terms. Everything he’s done in life has been because his family expected it of him. After graduating from Harvard, he fights in World War I, and after the war, his college friend Bill (Van Heflin) gets him a job at an advertising agency in New York City. Marvin was working at the same agency and was kind of a 1940s Peggy Olson. Bill had certainly never met an independent girl like Marvin in any of his upper-class schools and they soon fall deeply in love with each other. However, Harry’s family back home in Boston just doesn’t understand his new life. His parents (Charles Coburn and Fay Holden) wish he would just come home and settle down with Kay, who he has known since he was a child. Harry has never had any real interest in Kay and certainly doesn’t want to marry her, but he wants to marry Marvin instead. But Marvin isn’t ready to get married yet and she realizes she just doesn’t fit in with Harry’s privileged background. They go their separate ways, but Marvin promises to always be waiting for him if he wants to come back to her. Harry decides to settle into his predetermined life in Boston and marry Kay, even though he doesn’t really love her. After looking back on it all, he decides to call Marvin back to see if her offer still stands. They meet for lunch, but are still things still the same between them? I loved this movie! First of all, this is a King Vidor movie through and through. It reminded me a bit of The Crowd in the sense that both movies deal with men who aren’t satisfied with where they’re at in life and are yearning for something more. This is the kind of material that King Vidor was best suited to direct. The cast in general was pretty stellar; Robert Young and Hedy Lamarr had good chemistry together. Hedy Lamarr may seem like kind of an odd choice to play a free-spirited, independent woman, but she gave a very thoughtful and nuanced performance. Ruth Hussey, Van Heflin, and Charles Coburn were all excellent supporting players. 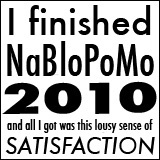 My only complaint about it is that it could have stood being about fifteen minutes shorter. But if you’re in the mood for something bittersweet, I very highly recommend H.M. Pulham, Esq. It’s another one of those overlooked gems that deserves to be better remembered today.